Are the Healing Properties Different for A Gemstone and Natural Crystal? I am very new to crystals and its healing properties. I was wondering: Is there a difference in the healing properties of an amethyst gemstone and an amethyst quartz crystal? I read some articles talking about irradiation and how once a crystal is polished it will lose its healing properties, is this true? What are your recommendations? It does not matter if a stone is natural or cut and polished. All crystals still have that healing vibration. As far as irradiation of the stones, almost all stones are irradiated to enhance or change its color. Even natural stones are known to be irradiated. They will still retain the properties of its color and vibration. Tanzanite is an example. They are irradiated to give them that lovely lavender that is their signature color. Unless specified most citrine is irradiated to give them a sunny lemon yellow. 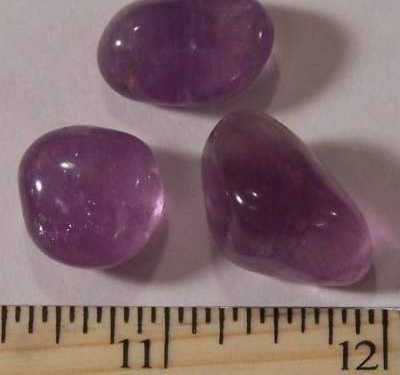 So my opinion is they are still wonderful healing stones whither cut and polished or natural.